24", 27", 30",33", 36" or 38" dia. Snuffer lid helps put out the fire in a shorter period of time and not only keeps outdoor debris from getting into your pit...it keeps the unburned wood dry for the next time a fire is built. 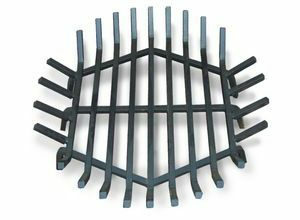 Round and Square Pit Covers help snuff out fire in a shorter period of time and keep debris and rain out of fire pit. 44" x 44" covers fire pits up to 42" x 42"
24" to 60" diameter or square up to 80" (length plus width) Sizing and ordering information on Product Sheet below - downloadable pdf.